I'm starting this post with a little confession that I didn't know the name of this place until I was about to write this post. The main reason is this place is right around my neighborhood, passed this place like thousands of times, but never bothered to read the name of the place. I only knew this spot as 'that-okonomiyaki-place-that-always-have-people-lining-up-for-seats'. First I thought maybe because the place is pretty small, but after I finally had the chance to try this place, I can see why. 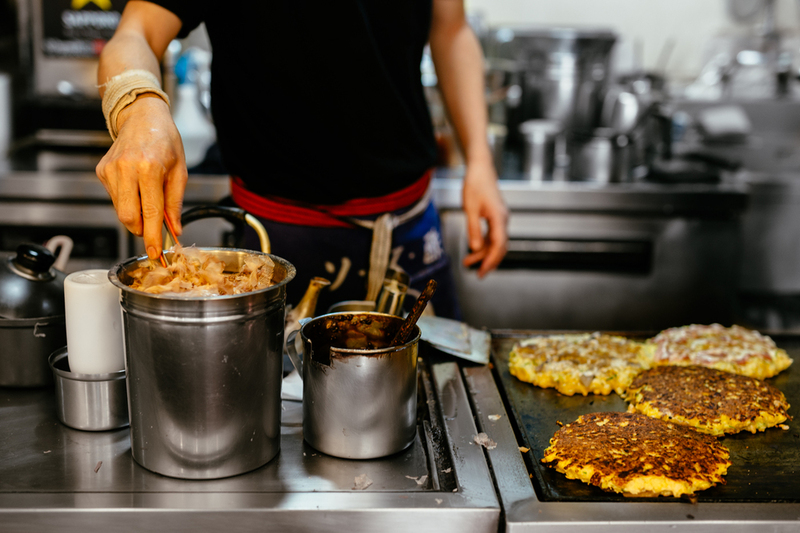 Hana Okonomiyaki (하나 오코노미야키 야키소바 a.k.a 신촌 하나) is located in Sinchon neighborhood, in between Sinchon Station and Ehwa Station. 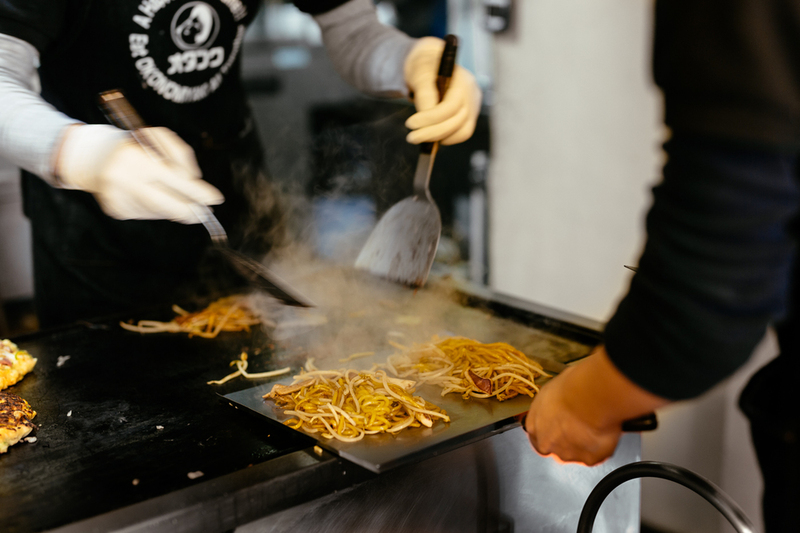 The place is famous for their okonomiyaki and yakisoba, and I asked my Japanese friends and they said the taste is pretty good and authentic. 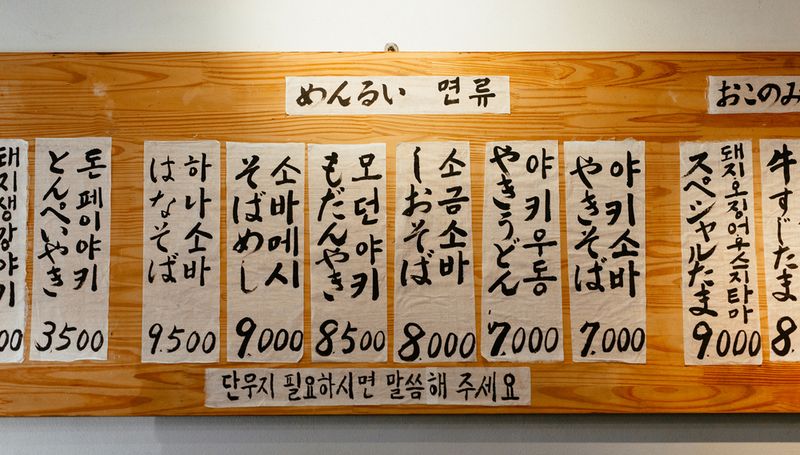 The price is also relatively not expensive, ranging from 7,000—9,000KRW. I let my friends ordered last time so I'm not exactly sure what we ordered, but everything was delicious. We even ordered seconds too. Tips: If you come here during dinner time, come early or you'll most likely will have to wait for seats. Go during lunch time since there's usually fewer people waiting in line.